Join the NASDAQ, KRT and QWASI in Times Square on Earth Day (April 22, 2019) to discuss the importance of technology to create a greener and more sustainable earth. Every year people purchase half a billion bras with less than 0.1% of those ever being recycled. This Earth Day, NASDAQ has partnered with KRT’s Sustainability Group to activate Times Square in an effort to drive awareness for ‘no cost’ bra recycling and in exchange participants receive a “green gift” to their favorite retailers. 1. Text to pledge a bra! 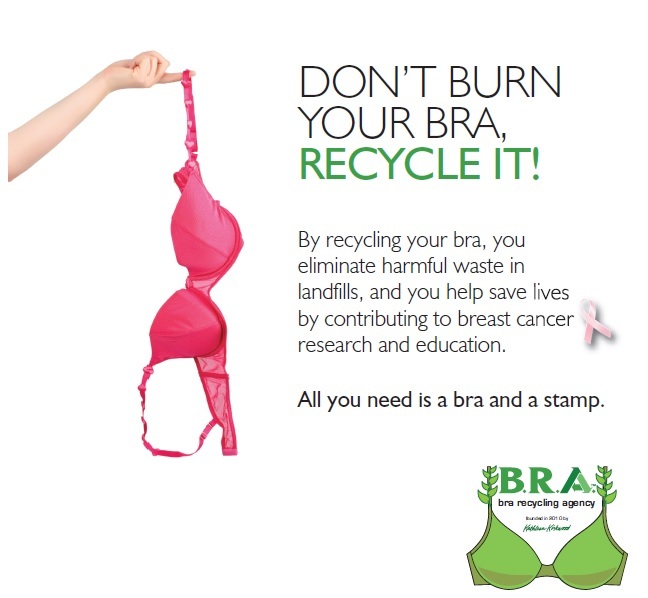 Participants receive email to print ‘recycle permit & mail-in label’ to ship bras. 3. Offers & Rewards from top brands! Participants receive offers and rewards to top retailers that are promoted on KRT permits, and mail labels, encouraging eco-minded customers to engage with retail brands. QWASI is excited to participate as the exclusive technology partner, showcasing how brands can leverage technology not only to create a more sustainable future, but also to build a bridge with their green customers by offering mobile optimized recycling initiatives that drive incremental foot traffic and increase sales. Being Green has never been so Easy! “With KRT we help support some of the US’s largest retailers on sustainability efforts as a point of customer loyalty. We are excited not only help create a greener planet but also assist brands in building more meaningful customer relationships,” Lara Hanson, QWASI Chief Innovation Officer. “Our partnership with QWASI is essential because it allows our brands to simply digitize their sustainability programs, send promotions to customers and employees directly on to their mobile devices, and show a direct correlation between sustainability programs and uplift in inStore sales,” Kathleen Kirkwood, KRT CEO and Founder of Bra Recycling (WBENC Certified).